Didn’t you forget to talk about Depth Of Field (DOF)? DOF is directly related to sensor size. A lens of Xmm focal length will produce different DOF on a FF sensor than on a APS-C sensor. Between the DOF and the FOV, a 50 looks a lot different depending on which camera it’s on. Nope. Didn’t forget. I just didn’t care for this particular post. The point of this post was to get the “crop factor” point across. 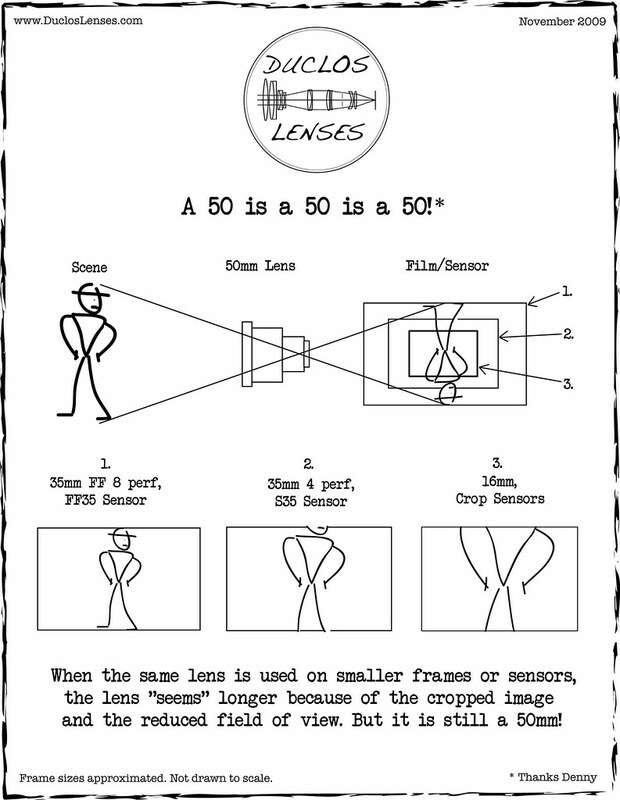 Yes, DOF is very important and directly related to image circle and sensor size, but when it comes to people trying to figure out how a lens will “look” on a specific camera, nobody ever asks how the depth of field will change when using a 50mm on a Super 35mm sensor as apposed to a 35mm full fame sensor. But thanks for the comment. I’ll ask, as I am wondering about that question. How will the depth of field change when using a 50mm on a Super 35mm sensor as apposed to a 35mm full fame sensor. Thanks. Previous Previous post: Manual 11-16mm with Nikon F mount.